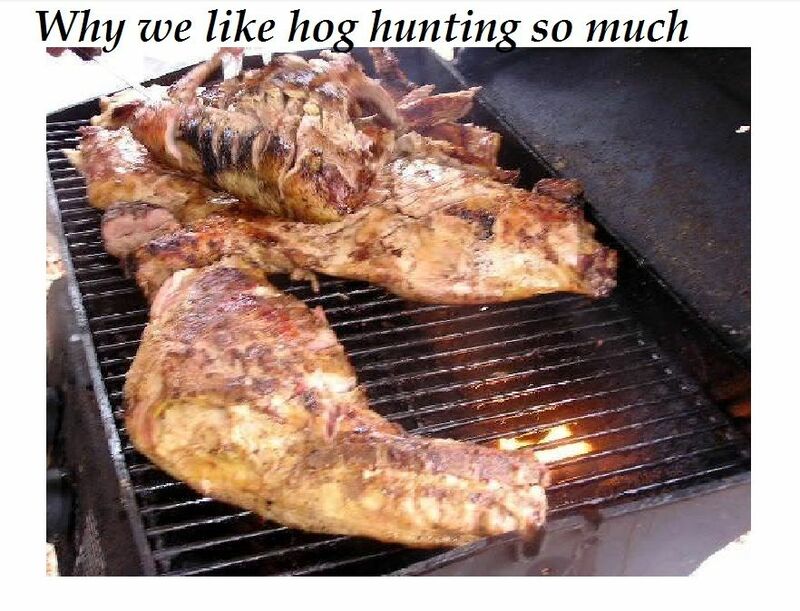 Hogs were first introduced to America in 1539 by Spanish explorer Hernando DeSoto. 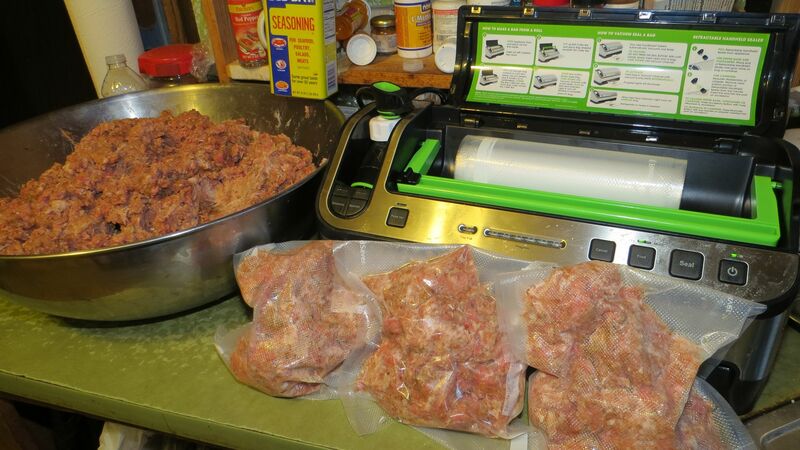 As DeSota trekked across Florida he brought with him herds of live pigs to provide the solders with fresh meat. Some were traded to native people; some escaped; escaped into the wild and quickly flourished. 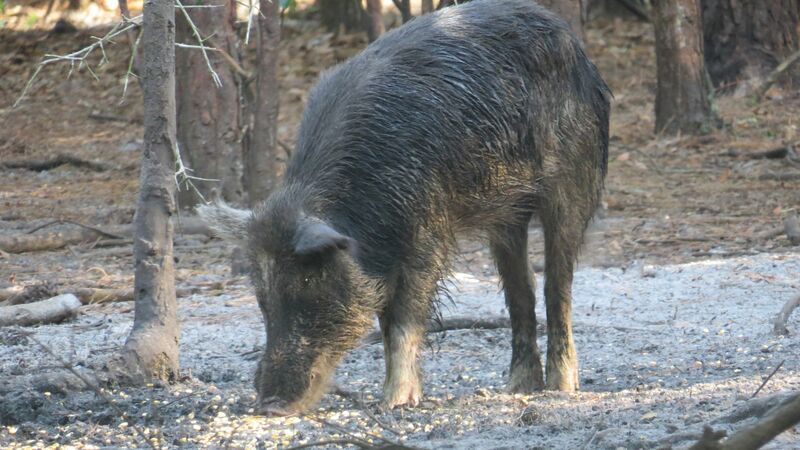 Today wild hogs can be found in every Florida county. 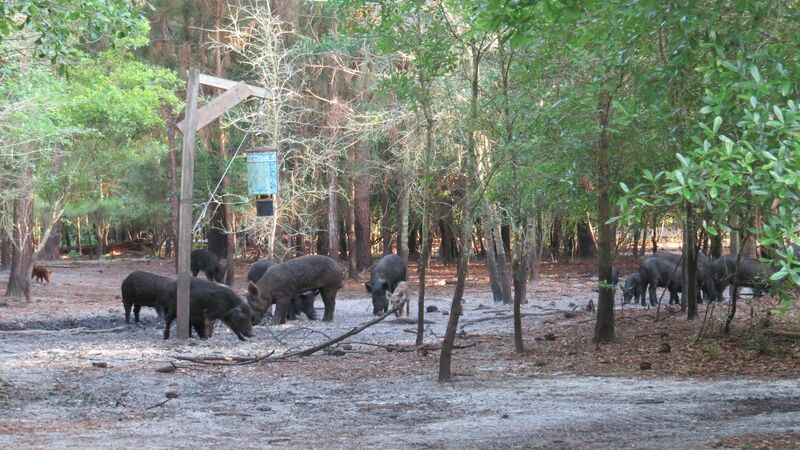 Florida, second only to Texas, is estimated to have 500,000+ wild hogs. 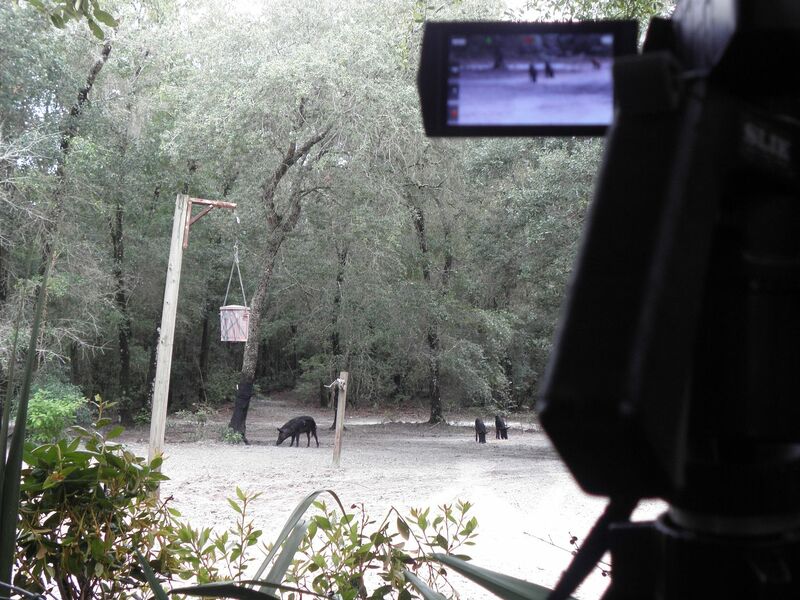 Hunting wild hogs has become immensely popular among Florida hunters. 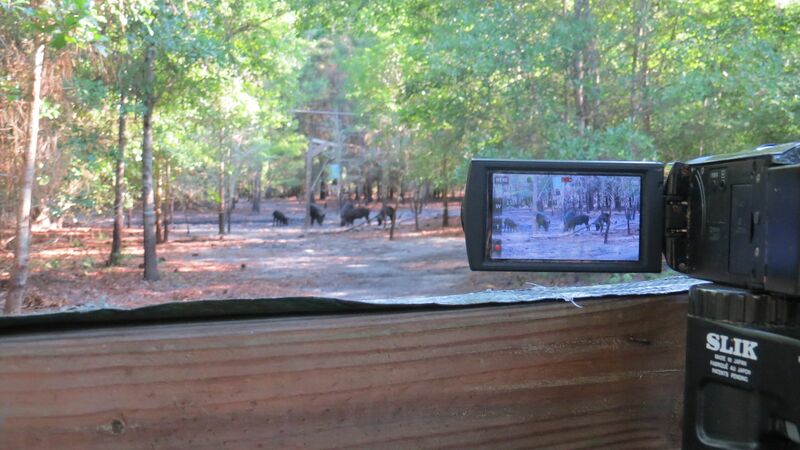 The number of days spent hunting hogs is exceeded only by days spent hunting deer in Florida. 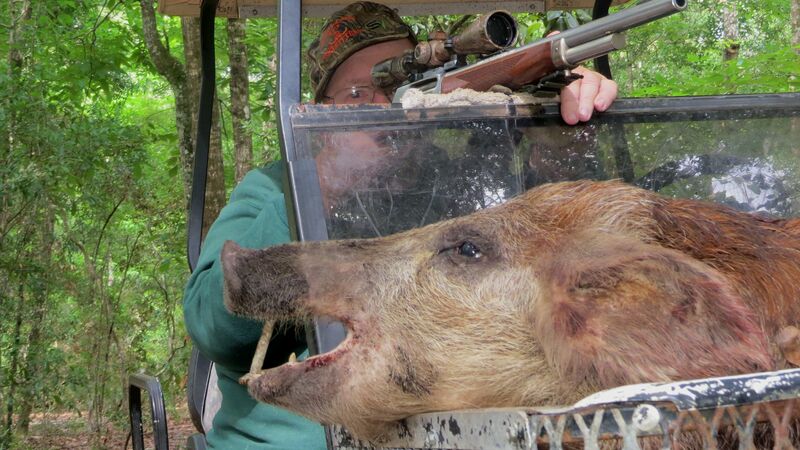 Annually around 100,000 hogs are harvested by hunters in Florida every year. 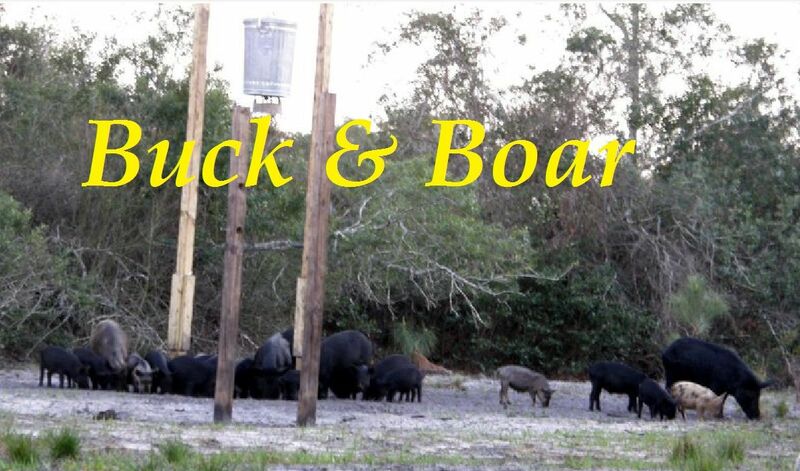 Many are harvested in Florida Wildlife management areas. 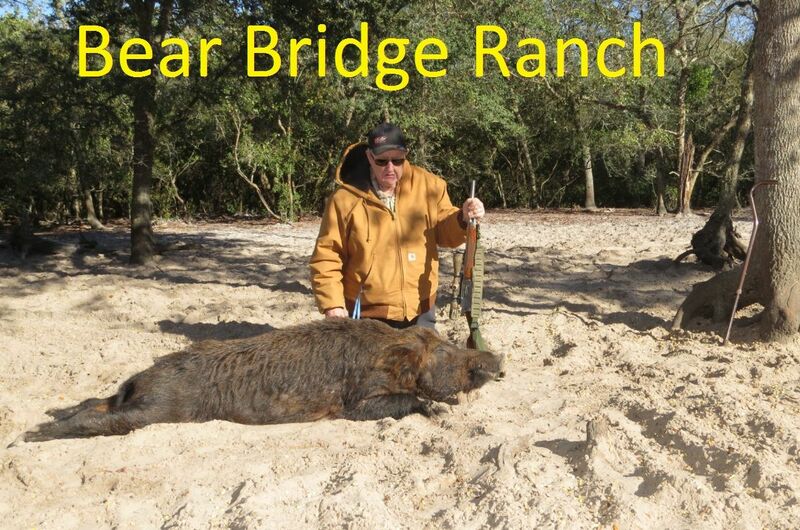 Decades ago my hog hunting career began in the Gulf Hammock management area. 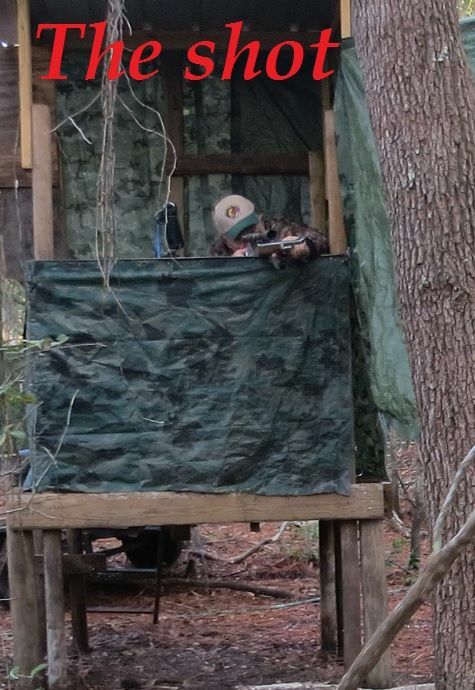 Gulf Hammock's beautiful wooded environment offered excellent opportunities for, such as myself, those who love to stalk hunt. Slowly moving through the woods looking for the slightest movement can be extremely exciting as well as rewarding. 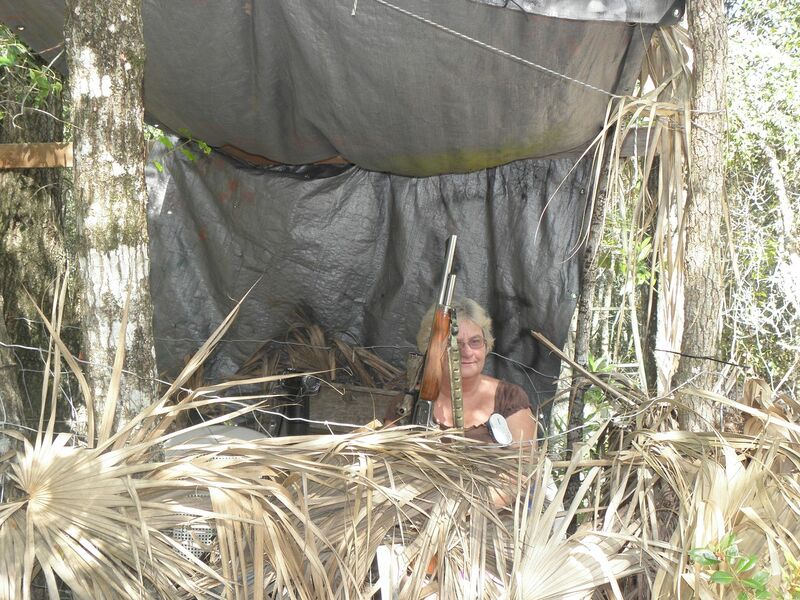 I harvested many real trophies in the oak & hickory woods of Gulf Hammock. Next was South Florida's Avon Park Bombing Range. 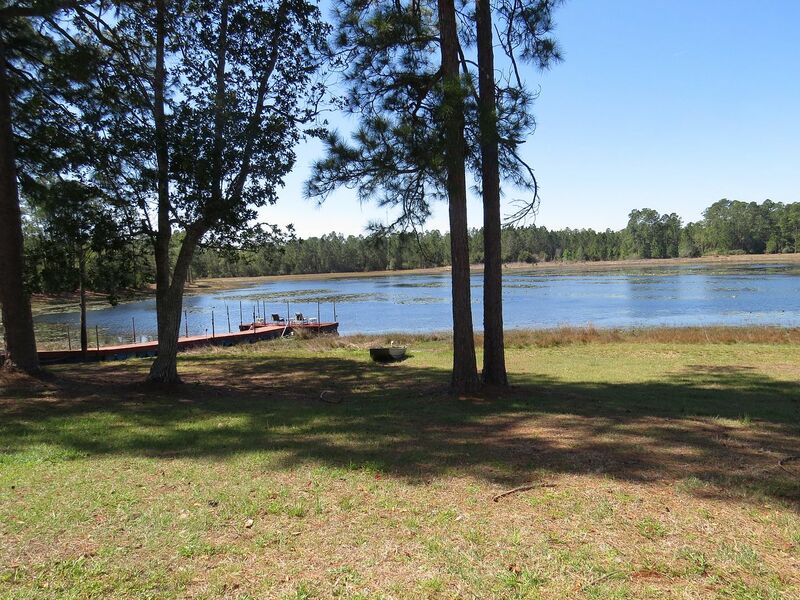 Avon Park is huge containing open range, forest, and many swamps. 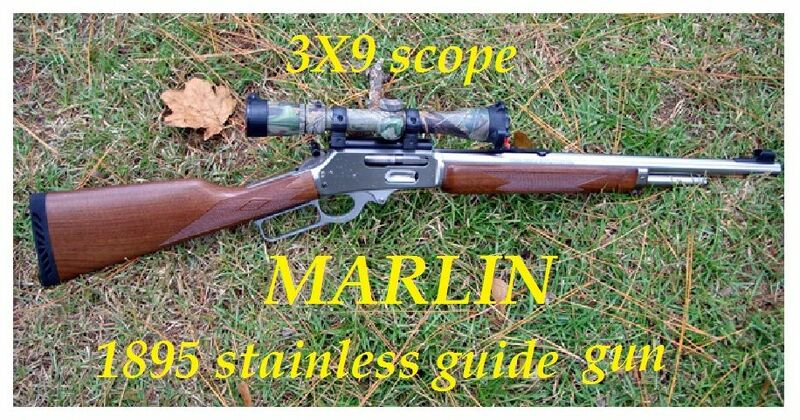 My preference, surrounding a large swamp, turn the red bone hounds loose, and watch 'fur fly!' Exciting to the max. 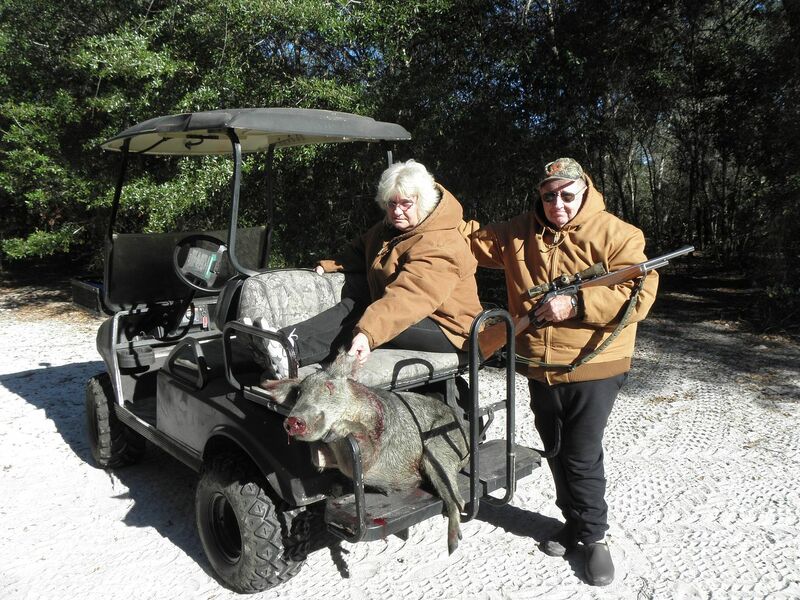 My wife,Thelma, and I hunted Aucilla for over ten years. 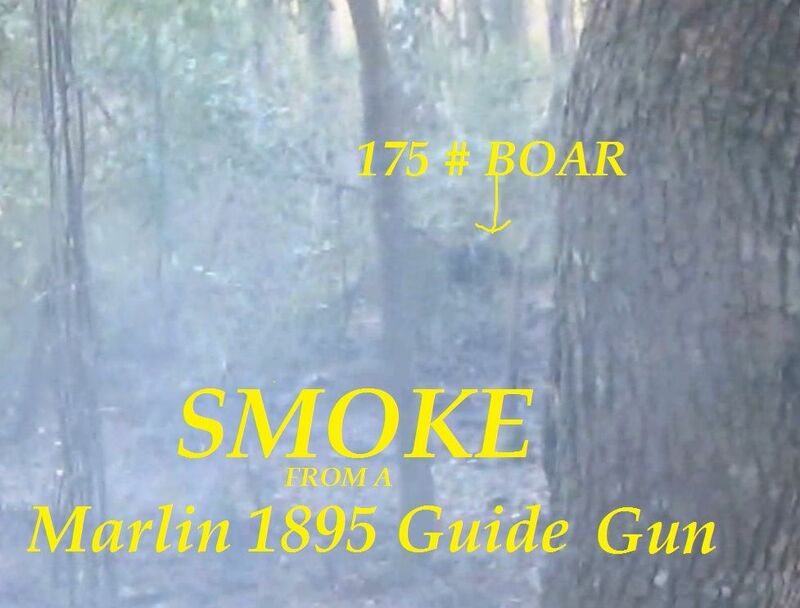 We would squirrel hunt, often limiting out, in the mornings and hog hunt in the evenings. The hog hunting proved to be excellent. 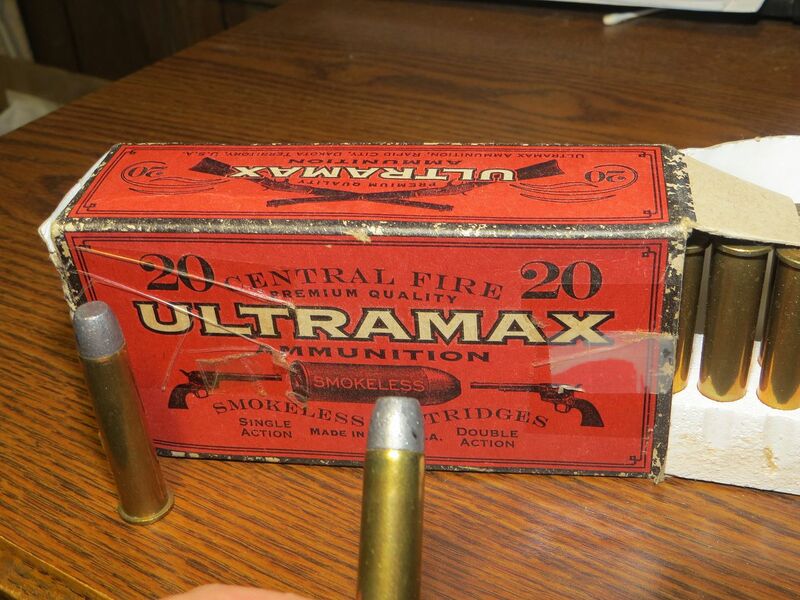 Together we hunted Buck & Boar for twenty years. We hunted both the Fall and Spring seasons. 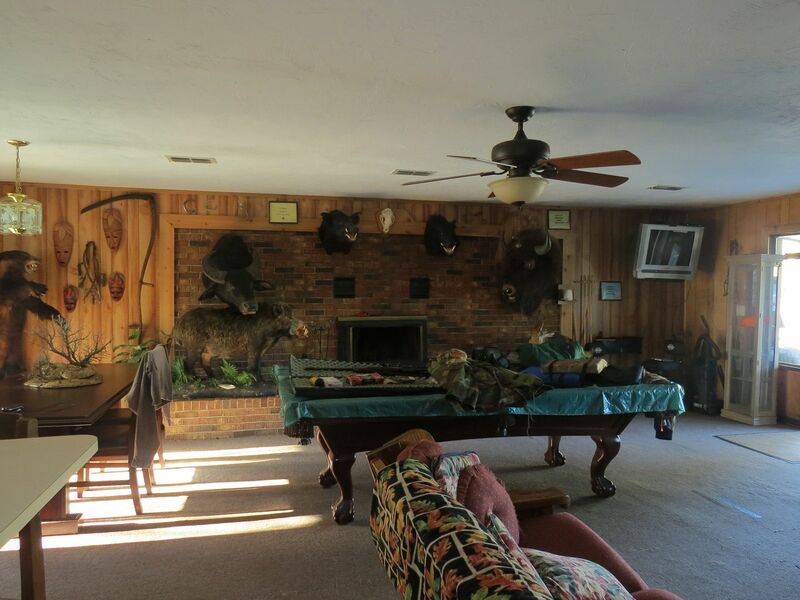 During our twentieth year Spring hog hunt we were both retired and intended to stay the entire season in the woods. Huge problem! We harvest nine monster hogs the first week and were forced to go home. Little did we know this would be our last hunt together. After thirty nine years of marries life, cancer took her away from us. I, and our three daughters, were devastated. The very thought of being forced to hunt alone sent shock waves through every inch of my body. Finally, after several years, the urge returned. But how? At over seventy, and alone, I could no longer do the things I once did; I needed help. 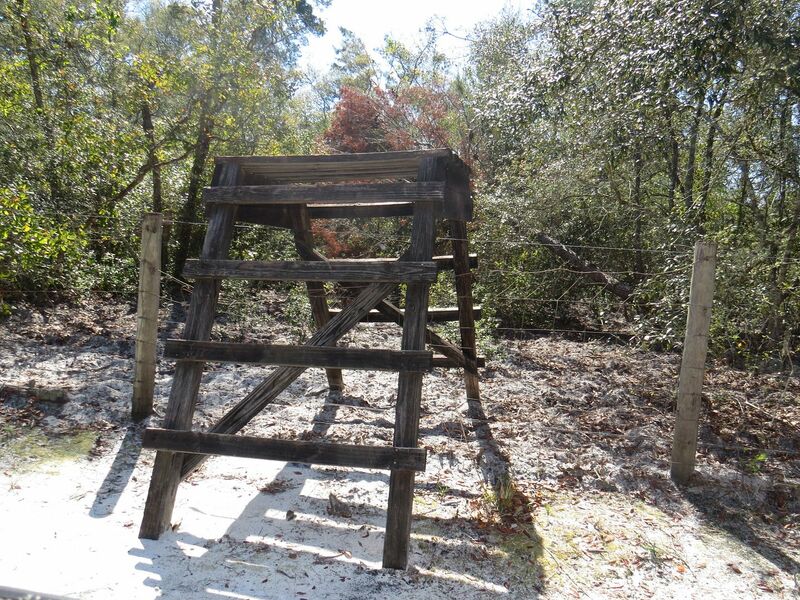 Could Florida's very popular high fence hunting possibly be the answer? 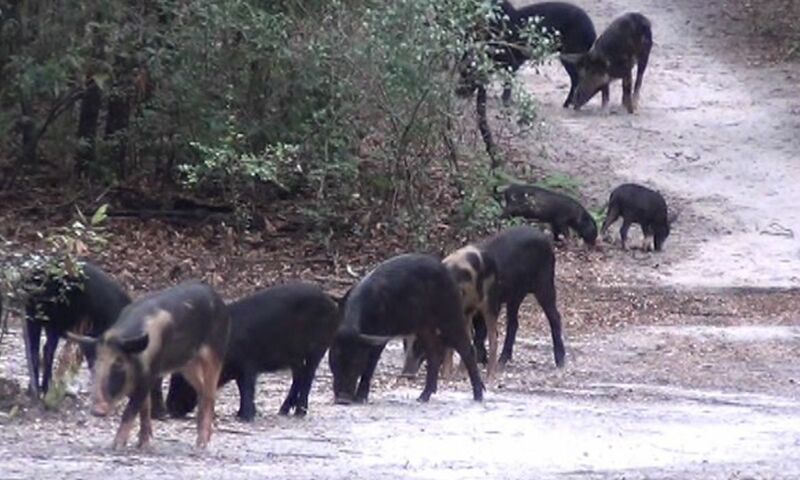 After hunting free roam for decades, could this type of hunting possibly satisfy my ever increasing 'urge' to once again pursue the Florida Wild hog? Only one way to find out. First up Cedar Key's Tiger Island Outfitters. Much to my astonishment the hogs at Tiger Island acted the exact same way they did at both Southwood and Buck & Boar. Slowly, ever so carefully, approaching the feeder. Is it safe? 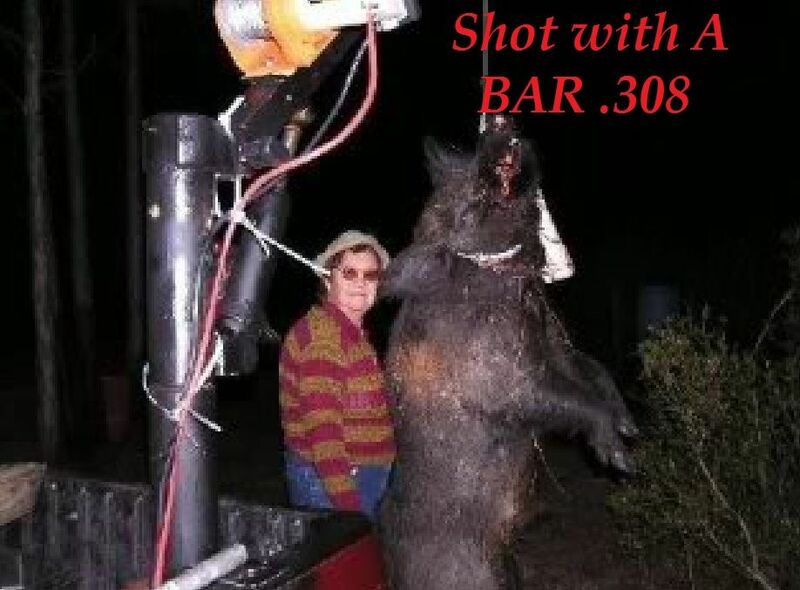 Think harvesting a trophy wild boar is easy while hunting under high fence? Think again! 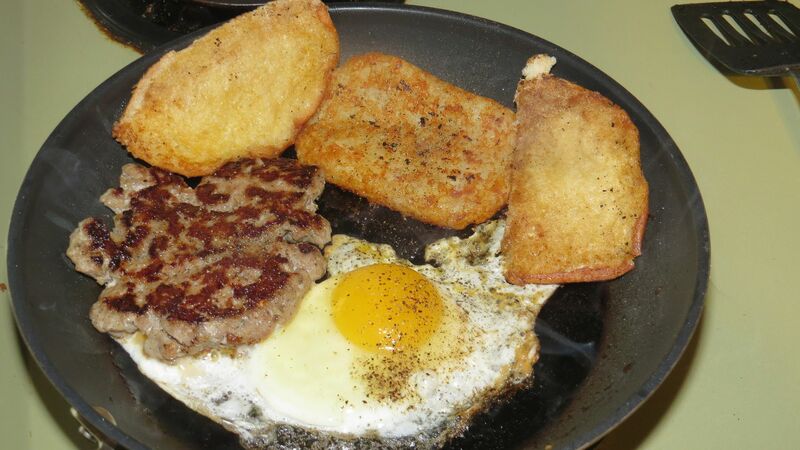 Smaller hogs are indeed relatively easy; the big boys are a complete different ball game. It took many hours patiently waiting in my stand for a shot at this one. I watched him for over half an hour before he slowly approached the corn in front of my blind. Hunting, like everything in life, is what we make out of it. 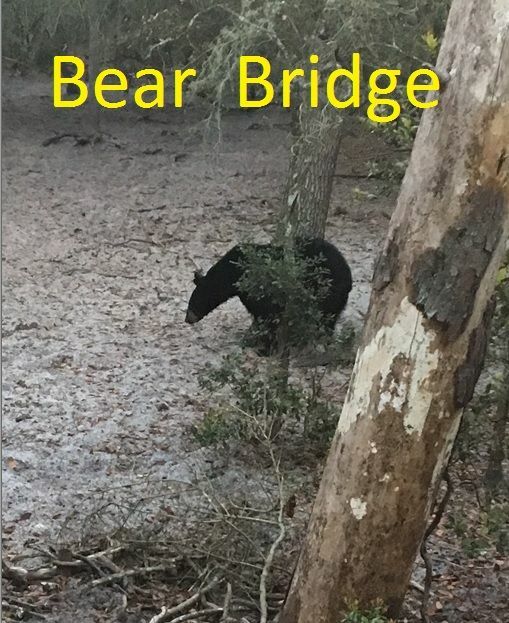 From Gulf Hammock to Bear Bridge, the opportunities offered the Florida Sportsman are endless. 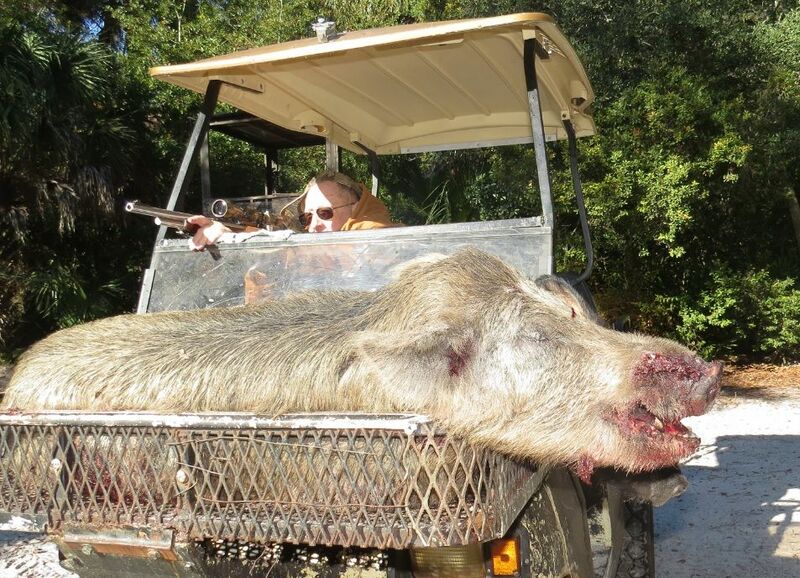 As we look back through many decades, through the 'Notes from a life long Florida hog hunter' it's very easy to see why hog hunting in the Sunshine State is so popular. Join me and the thousands like me in the woods. After all, we are on a mission, a mission to harvest over 100,000 hogs this and every year.